Dr Jamie Mcnabb was born and raised in the surrounding St. Louis Missouri area. She grew up on a small farm where one of her favorite activities was riding horses. After falling off of her horse, she was taken to the local chiropractor. It was after that first visit that Jamie knew she wanted to be a chiropractor. Dr Jamie attended East Central College and finished her education as a Doctor of Chiropractic from Logan College of Chiropractic in 2008. 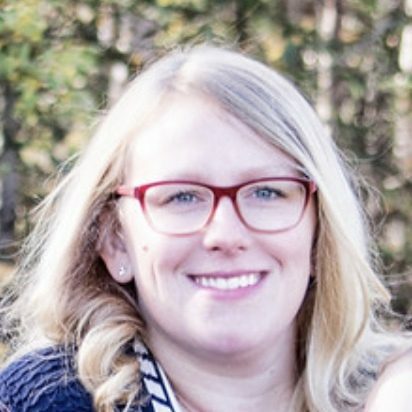 Since moving to Delta Junction, Dr Jamie has been treating patients using Diversified, Thompson drop, And Activator techniques along with therapies including myofascial release, electrical stimulation, ultrasound, etc. There are also 2 massage therapists on staff. Chiropractors use their hands to feel the joints of the spine and body to find areas that are not positioned correctly and are causing irritation to the surrounding tissues and nerves. When these areas, called “subluxations,” are found, the chiropractor will gently move or realign the joint manually, which is called an “adjustment.” Chiropractic care is safe for all ages including newborns. Many people seek chiropractic care for pain relief but it can also be utilized for wellness, improving movement and function, and keeping your body functioning to its highest potential. Whether you have a new injury or have pain from an old one, suffer from headaches or digestive trouble, or have questions on proper posture, try chiropractic care. It really works!